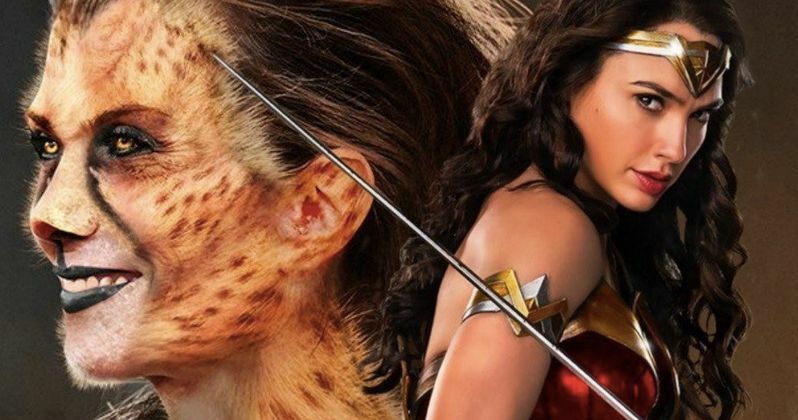 Wonder Woman 2 Locations Hint at Cheetah's True Origin? With production slated to begin next month on Wonder Woman 2, a new report reveals possible filming locations that indicate fans will see the origins of new villain Cheetah, played by Kristen Wiig. While still unconfirmed at this time, this report claims that filming will take place on the Spanish Canary Island of Tenerife, although it isn't known when filming will take place there, or who will be present for these scenes. This location has lead to speculation that it could be used for the fictional African nation of Bwunda, which has ties to the new villain Cheetah, played by Kristen Wiig. The first incarnation of Cheetah, Priscilla Rich, was created by original Wonder Woman creator William Moulton Marston and H.G. Peter, first appearing in Wonder Woman #6 in October 1943, appearing through the Golden and Silver Age of comics. The Bronze Age Cheetah, Deborah Domaine, was created by Gerry Conway and Jose Delbo, debuting in Wonder Woman #274 in December 1980, but this movie version will be based on the most current Cheetah, Barbara Ann Minerva, created by Len Wein and George Perez, who debuted in Wonder Woman Vol. 2 #7 in August 1987. There was a male version of Cheetah named Sebastian Ballesteros, who debuted in July 2001, but he didn't last too long. The fictional African nation of Bwunda wasn't introduced until the DC Rebirth comics, which altered Cheetah's origins. Barbara first goes to Bwunda during a dig where she tried to locate the plant god Urzkartaga, but there is still no confirmation that Bwunda will be part of the story or not. Still, with filming slated to begin at the end of this month in Washington D.C. and Northern Virginia, it's possible that Warner Bros. may release some plot details in the very near future. It has also been confirmed that this story is set in the 1980s, with part of the plot involving the Cold War. There is speculation that setting the movie in the 1980s will allow Chris Pine to come back as an aging Steve Trevor, who first met Diana in World War I, which was depicted in the first blockbuster movie. Gal Gadot is returning as the title character, and we reported at the end of March that Narcos star Pedro Pascal has signed on for an unspecified role, and that the original Wonder Woman, Lynda Carter, is also in talks for an unknown role. Patty Jenkins returns to direct Wonder Woman 2, with a report from earlier this week revealing the director is getting a massive raise for this sequel, getting $9 million, nine times more than she earned for the first Wonder Woman, which took in $412.5 million domestic and $821.8 million worldwide, from a $149 million budget. Warner Bros. has set a November 1, 2019 release date for Wonder Woman 2, the only movie slated for release on that date. Omega Underground first broke the news on these location details for Wonder Woman 2.